Waec 2019 registration and exam date has already been decided. Waec 2019 registration begins around November 2018 and ends in January 30th, 2019. The Waec Examination date for the year 2019 is April 2019. You may Click here to get waec syllabus and hot topics for all subjects or you click here for the latest official Waec 2019 Timetable. Now, If you have been wondering where to get the best and latest waec news updates and guide about waec 2019, how to pass waec, timetable for 2019/2020 waec, free online and hardcopy waec past questions and hot topics to read for waec, latest news updates and waec cbt practice platform, then continue reading because this article is for you…. Also, If you are planning to take waec and Jamb 2019 together (which is advisable for you to do) then I also have Jamb 2019 page to guide you. You may want to click here to know everything about Jamb 2019 registration and exam date. Why and how to visit waec eRegistration portal. How much is waec 2019 form? How to pass waec once and for all. Do I need to be in the secondary school to write waec there? Can someone help me to sit for waec 2019? How to read for waec 2019. When waec releases original certificate. Waec syllabus and hot topics to read. How to register for waec 2019. How to practice waec past questions. How waec is being marked. 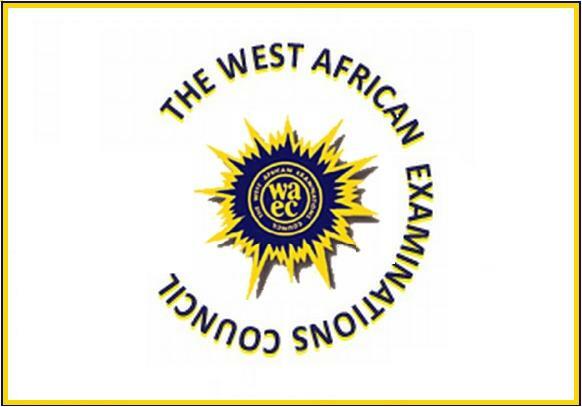 The West African Examinations Council e-Registration System is a user friendly online registration package for the West African Senior School Certificate Examination. It allows School schools in Nigeria to register their candidates online through the Internet. The WAEC e-Registration service makes registration easier for the schools and also eliminates errors in registration information which are hitherto made on paper and only detected while processing the paper forms by WAEC. Such documents as Timetable and Syllabus for the examination could easily be printed or downloaded by the School Authorities. Although you want not have to visit the waec portal to do the registration yourself as a student, yet you may want to know how the registration portal looks and the steps your centre take to carry out waec eRegistration. Launch your favourite web browser. Different schools charge different registration fees for candidates. It is no news that many schools in Nigeria (especially private secondary schools) charge up to 50,000 naira and even above for waec registration in their respective centres. The normal price fixed by waec is less than #12,000. It is advisable you go to centres that charge less. You should also note that miracle centres charge higher for waec registration. Having heard different rumour about waec, you may be left with the question, can I really pass waec without runs or expo? I am here to boldly tell you that you can pass waec without waec 2019 runs or expo. Then you would be wondering, how can I pass waec on my own? You would have to follow the 17 golden rules to pass examinations. See how to pass waec 2019 once and for all by Clicking here. Waec expo is a situation where someone sends you waec answers on or before the examination day via sms or social networks. Some centers do help their candidates by supplying them answers in the waec examination hall. These centres are called waec expo centres or waec special centres. I am not ignorant of the fact that waec expo centres and miracle schools exist. However, you must understand that those things sometimes affect your result negatively. The answers supplied might be wrong or sub-standard. Besides, cheating is wrong and waec could withhold your result. Work hard and pass waec without runs, expo or special centre. 7. DO I NEED TO BE IN A SECONDARY SCHOOL TO WRITE WAEC THERE? You can decide to choose any secondary school as your examination centre. You don’t really need to be a student there. All you need to do is go to the centre when waec registration 2019 is close and indicate your interest. One thing you must note is that you could be charged more than the bonafide students. Schools are fond of charging external candidates more registration fee. 8. CAN SOMEONE HELP ME TO SIT FOR WAEC 2019? Someone helping you to sit for waec 2019 examination is malpractice. So long you can read and write, you should be able to pass waec. It just requires patience and a little hard work on your part. You can still prepare and pass any examination. Even the blind and deaf do pass waec exams. Read: How to prepare and pass any examination. On the other hand, if you experience any health issue during the examinations, feel free to contact the school principal for guide and the way forward. Waec past questions are important for your high score. The use of waec past questions can dramatically boost your score. You should lean to be with past questions alongside waec new 2019 syllabus. How do I access waec past questions? There are three ways you can gain access to waec past questions for 2019. Getting one at any bookshop close to you. Practicing waec past questions online for free. Are you aware that the way you prepare for waec is very different from how you prepare for you class examination? Now you know. Waec requires strong preparation tactics. One of the things you should learn while preparing for waec 2019 is studying for long hours without losing concentration and how to remember everything you read in the waec exam hall. Below, I present two helpful articles on this year and next year waec…. Now, have you ever asked why waec seizes result? It’s due to three major reasons and they include malpractice, errors while filling your waec details and errors on the part of waec. Error on the part of waec could be missing script. Waec 2019 Registration closing date is January 2019. However, Deadlines may be extended.